Eyelash extensions will make you beautiful when you wake up, after a rigorous exercise or even a swimming expedition. You will not worry about how your eyes look as you are sure that you look amazing. Most dermatologists agree that it is safe to get eyelash extensions as long as your lash artist follows all the safety procedures. Do not just go to any spa if you want amazing eyelash extensions application results. Checking online reviews to know what past clients are saying about a lash artist will help in making the right choice. 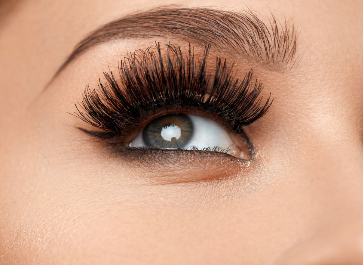 You can also ask for recommendations from friends and family who have had a lash extension application in the past. When choosing a lash spa where you will have the application done, you should observe caution. Pay a visit to the spa before confirming your appointment to gauge the hygienic standard of the spa. If on walking in you find everything scattered and the lash glue from the previous application uncovered, cancel your appointment. You should only get your eyelash extensions applied in a clean environment. The process will be carried out around your eyes and any wrong move could lead to severe infections that could damage your eyes. In addition to checking the hygienic conditions, you also need to consider the outcome of the previous applications. Ask for photos of previous applications so that you can gauge the quality of their work. If you are not impressed, look for another spa until you are completely satisfied. The products that the lash artist will be using will also determine the outcome. You should make it your obligation to check these products to know whether they are within the set standards. Do not agree to have cheap and substandard products used around your eyes. If this is the first time you will be having an eyelash extensions application, the process will take longer, between 1½ hours to 2 hours. You should arrive early for your appointment so that you can have time to familiarize yourself with the environment. You will also need to visit the restroom so that you will be able to remain still for the 2 hours. You can carry your headphone so that you can listen to music as the lash artist work on you. This will make the process less tiresome as they will serve as a distraction. Putting your phone on airplane mode would also help to minimize distractions so that the lash artist can work faster. The lash artist will help you to select the best eyelash extensions for you based on the shape of your natural lashes and your preference as well. The cost will also be a determining factor as some eyelash extensions are very expensive. To make it easier for the lash artist to work on your lashes, he will ask you to lie on your back to the level you’ll be most comfortable. He will then shield your bottom lashes using an under-eye pad, sticker or a tape. You will be asked to close your eyes for the time the lash artist will be working on your lashes. The lash artist will be using tweezers and keeping your eyes closed will ensure that nothing foreign will get into your eyes. You may find yourself dozing off which is a great thing since you will be more relaxed, giving the lash artist space to apply the lashes. A professional lash artist will ensure that the lashes are uniformly glued to the natural lashes. He will also prevent any lash glue from getting into the eyes. Avoid getting your eyelash extensions wet for the first 2 hours after application. Avoid going to the spa, swimming pool, or sauna within 24 hours after the eyelash extensions are applied you need to give the lashes time to bond perfectly. When removing makeup from your face, use oil-free products. If you use oil-based makeup removers, the glue on the lashes will loosen and this will make the lashes fall off. Keep your eyelash extensions clean following the right cleaning procedures. You should also ensure that you use the right products that will preserve the beauty of your eyelash extensions. After cleaning your eyes, do not rub the eyelash extensions. Use a smooth towel to tap dry the lashes. Mind your sleeping pattern: after having an eyelash extensions application, do not sleep on your face. Sleeping on your face will make your hair fall off or make the eyelash extensions disfigured. Do not use mascara on your eyelash extensions as it will not be possible to clean it off. The mascara remains on your lash extensions will be a breeding ground for bacteria. If this happens, the only option will be to remove the eyelash extensions and you will have to pay for a fresh lash application. Eyelash extensions are your best option if mascara no longer gives you the perfect look you desire. If you are tired of spending hours trying to make your scarce natural lashes look good, it is time for an eyelash extensions application. It is important to choose the right lash artist to apply your eyelash extensions in Clearfield. A good lash artist may charge more for his services but the results of the application will be amazing. You also need to follow the provided aftercare procedures to ensure that the lash extensions remain beautiful for longer. After 2-3 weeks, it will be important to go for a refill. The lash artist will replace the eyelashes that will have fallen off and ensure that the beauty of the lashes is restored. Always remember that how long your eyelash extensions will last depends on how well you will take care of them.